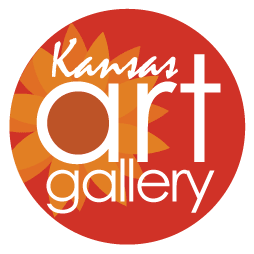 Welcome to the KansasArtPrints.com by ArtPrintExpress.com website. This website is governed by the same policies as the ArtPrintExpress.com website. 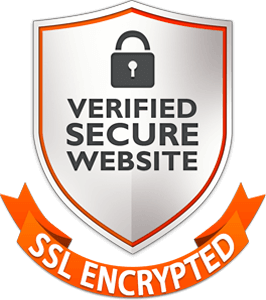 Your privacy and the quality of the services and products offered on this website is our top priority. Please take a look at our full Terms & Conditions before uploading or ordering from the website. We take great care to ensure the accuracy of your order. 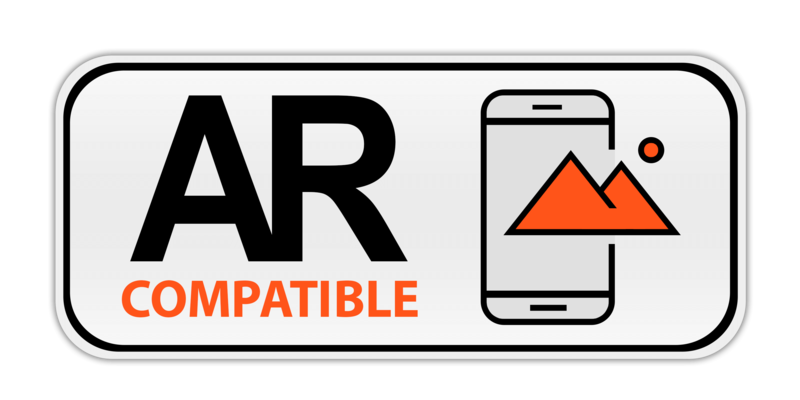 Please be aware that, because of the nature of our product and variations in computer monitor settings, at times there could be very slight variations between the colors viewed on your monitor and the final reproduction of your image. Also, we will always use the aspect ratio of the original artwork to calculate the required dimensions based on your input of the height or the width of your selected image. We will make every effort to meet your specifications as closely as possible. You are solely responsible for the Content that you upload on the Digital Photo Printing. You may not upload, distribute, or reproduce in any way any copyrighted material, trademarks, or other proprietary information without obtaining the prior written consent of the owner of such proprietary rights. It is the policy of ArtPrintExpress.com to terminate membership privileges of any member who repeatedly infringes copyright upon prompt notification to ArtPrintExpress.com by the copyright owner or the copyright owner's legal agent. 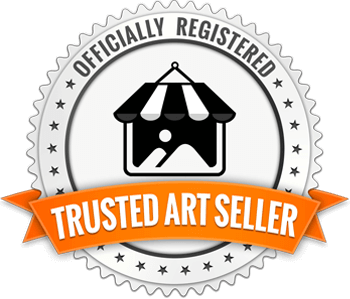 After selecting the artwork of your choice the artwork will be shipped directly to you with shipping fees applicable to your order. 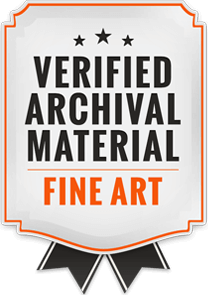 All copyrights, trademarks, and other intellectual property rights in all materials and contents on this website are property of ArtPrintExpress.com or its affiliates, and are protected by U.S. and international copyright laws. Any unauthorized use of this property is prohibited and is subject to prosecution. ArtPrintExpress.com will not share or distribute your private information to anybody at anytime except with our partner Bob Victor's which will get only the information necessary to fulfill your order. All requests for replacements or refunds must be submitted within thirty (30) days of the date the print is received. All requests for replacements or refunds for damaged prints must be submitted within seven (7) days of the date the print is received. We will accept a return for a replacement or refund provided the print is returned within thirty (30) days from the date the print is received and meets our Return Policy and Restrictions. We will automatically crop your image so it works with the proportions of the print size you’ve selected. We provide a very accurate preview showing exactly how your photo will be cropped and which parts will not be visible on the print. If you are creating a wrapped canvas, consider choosing wrapping options that will best show your piece. Sometimes the image you send us just won’t work in the finished size you selected. We attempt to catch all image orders that have any concerns and if we have any concerns about the print as ordered we’ll contact you with an alternative solution. Art Print Express may not issue a refund or replacement if the print matches the preview that was available when the order was placed. The customer is responsible for reviewing the preview before adding the print to their cart. Please note that changing the print size will change the preview. 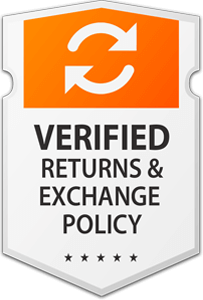 If a replacement is issued the customer will pay shipping and handling on the new item, regardless of the pricing of the original order. Art Print Express will reproduce color from your submitted photograph file as closely as possible, but may not exactly match color and density because of limitations in the printing process, monitor calibration and image resolution requirements. Please note that Art Print Express cannot guarantee color reproduction or image quality for your photograph files unless you have gone through the proofing process. Every color quality related return must be submitted with our online contact page with your order number and will be reviewed on a case by case basis. We may refuse a refund if the print is deemed an accurate reproduction of the submitted photo. If a replacement print is issued the customer will pay shipping and handling on the new item, regardless of the pricing of the original order. If your original photo has red eye and/or a time stamp, Art Print Express is not responsible for removing these. Refunds will not be issued in these instances. If you have need of special changes to your file, please contact us to see if we can accommodate your changes. There will be a charge of $35 to make modifications such as red eye and/or time stamp removal on your file. If a frame is ordered, but is not included with the print or is the wrong color, the customer may either receive a refund for the cost of the frame or a replacement print with the correct frame. Art Print Express will not provide a refund or replacement if the issue with the defect exists in the originally uploaded photograph file. If an order is returned to Art Print Express as undeliverable due to a customer error when entering the shipping address we will not provide a refund for the print or the shipping costs. We will reship the print to the correct address and the customer will be charged for shipping and handling, regardless of the pricing of the original order. If an order is lost in delivery due to a customer error when entering the shipping address we will not provide a refund for the print or the shipping costs. We will create a new print and ship it to the correct address. The customer will be charged for the new print. We will honor the price of the original print and the customer will be charged for shipping and handling, regardless of the pricing of the original order. 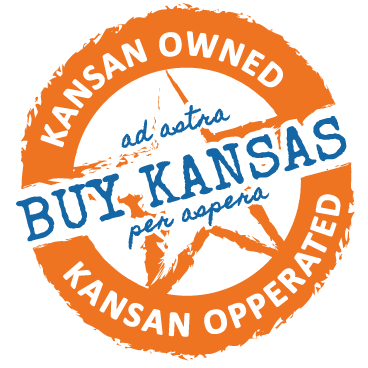 If you received a discount when you purchased an item you wish to return or exchange, you will receive a credit for the purchase price of an item or you may exchange that print for another print of the same or lesser regular price value. Damaged items need to be photographed and emailed to Art Print Express as proof before refunds or replacements can be issued. In some instances, Art Print Express may waive this requirement upon the discretion of Art Print Express management. Upon filling out the online contact page with your order number further details on replacement procedures will be provided. Please note Art Print Express is not responsible for damage caused to prints after they have been received or damages caused by the customer or a third party. Third parties may include, but are not limited to, framers, retail establishments or an artist's customers. Art Print Express will not be held responsible for damage not reported within seven (7) days of print delivery. Prints ordered from our Artists Collection may only be refunded or replaced if the print is damaged. Damage must be verified by Art Print Express Customer Service before a refund or replacement will be issued. Art Print Express prints are personalized prints and as such may not be modified or cancelled once an order has been put into production. Due to our automated process orders often go directly into production if they meet our image resolution requirements. Requests to modify an order may be accommodated provided the request is received no later than 24 hours after the order was placed and only if the order has not gone into production. Once an order is in production it cannot be modified. Requests to cancel an order and receive a refund may be accommodated provided the request is received no later than 24 hours after the order was placed and if the order has not gone into production. Once an order is in production it cannot be cancelled, but a partial refund may be provided. If the order has been produced, but has not shipped, we will cancel the order and may provide a partial refund. As the print has been produced the cost of the print will not be refunded. The shipping and handling charges may be refunded unless the print or shipping was free in which case a refund will not be provided. To return a print, please complete the online contact page with your order number Art Print Express Customer Service will contact you with further instructions. If Art Print Express provides a replacement/refund you may be asked to provide a 3" x 5" piece cut out of the center of the print you received. Your replacement/refund will be provided once we receive your 3" x 5" piece cut out of the center of the print. If cut pieces are not from the center of the print or are not 3" x 5", refunds or replacements will not be issued. If multiple prints are to be returned, the cut pieces must all be 3" x 5" and from the center of the each of the prints. Please note: All return or reprinting requests must be submitted through our online contact page with your order number. Our phone staff is not authorized to process returns by phone.